Baruti K. Kafele, a highly regarded urban educator in New Jersey for more than 20 years, is a distinguished master teacher and transformational school leader. As an elementary school teacher in East Orange, NJ, he was named East Orange School District and Essex County Public Schools Teacher of the Year, and he was a finalist for New Jersey State Teacher of the Year. As a middle and high school principal, he led the transformation of four different New Jersey urban schools, including Newark Tech—transforming it from a low-performing school in need of improvement to national recognition—recognized by U.S. News and World Report as one of America's best high schools. Kafele, one of the most sought-after education speakers in North America, is the author of eight books, including his four ASCD best sellers—Closing the Attitude Gap, Motivating Black Males to Achieve in School & in Life, The Principal 50, and The Teacher 50. He is the recipient of more than 150 educational, professional, and community awards, including the prestigious Milken National Educator Award and the National Alliance of Black School Educators Hall of Fame Award. As well, he was inducted into the East Orange, New Jersey Hall of Fame, and the City of Dickinson, Texas, proclaimed February 8, 1998 Baruti Kafele Day. 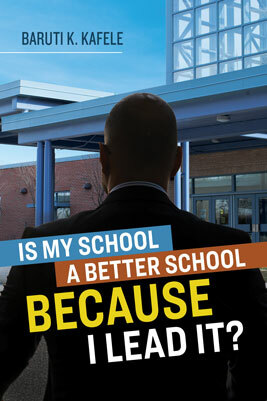 Kafele can be reached via his website—www.principalkafele.com.